This article is not written by me - the content has been provided from this Wikipedia page. The convention was convened on March 1 with Richard Ellis as president. The delegates selected a committee of five to draft a declaration of independence; the committee was led by George Childress and also included Edward Conrad, James Gaines, Bailey Hardeman, and Collin McKinney. The committee submitted its draft within a mere 24 hours, leading historians to speculate that Childress had written much of it before his arrival at the Convention. The declaration was approved on March 2 with no debate. Based primarily on the writings of John Locke and Thomas Jefferson, the declaration proclaimed that the Mexican government "ceased to protect the lives, liberty, and property of the people, from whom its legitimate powers are derived" and complained about "arbitrary acts of oppression and tyranny". Throughout the declaration are numerous references to the United States laws, rights, and customs. Omitted from the declaration was the fact that the author and many of the signatories were occupying Texas illegally, and therefore had no legal rights in the government of Mexico. The declaration makes clear that the men were accustomed to the laws and privileges of the United States, and were unfamiliar with the language, religion, and traditions of the nation that they were rebelling against. The declaration officially established the Republic of Texas. The 1824 Constitution of Mexico establishing a federal republic had been usurped and changed into a centralist military dictatorship by Gen. Antonio López de Santa Anna. Texas was in union with the Mexican state of Coahuila as Coahuila y Tejas, with the capital in distant Saltillo, and thus the affairs of Texas were decided at a great distance from the province and in the Spanish language, which the immigrants called "an unknown tongue". Political rights to which the settlers had previously been accustomed in the United States, such as the right to keep and bear arms and the right to trial by jury, were denied. No system of public education had been established. Attempts by the Mexican government to enforce import tariffs were called "piratical attacks" by "foreign desperadoes". The settlers were not allowed freedom of religion. All legal settlers were required to convert to Catholicism. "the right of trial by jury, that palladium of civil liberty, and only safe guarantee for the life, liberty, and property of the citizen." "our arms ... are essential to our defence, the rightful property of freemen, and formidable only to tyrannical governments." Replica of the building at Washington-on-the-Brazos where the Texas Declaration was signed. An inscription reads: "Here a Nation was born". Sixty men signed the Texas Declaration of Independence. Three of them were born in Mexico. Fifty-seven of the sixty moved to Texas from the United States. Ten of them had lived in Texas for more than six years, while one-quarter of them had been in the province for less than a year. This is significant, because it indicates that the majority of signatories had moved to Texas after the Law of April 6, 1830, banning immigration, had taken effect, meaning that the majority were legally citizens of the United States, occupying Texas illegally. Fifty-nine of these men were delegates to the Convention, and one was the Convention Secretary, Herbert S. Kimble, who was not a delegate. 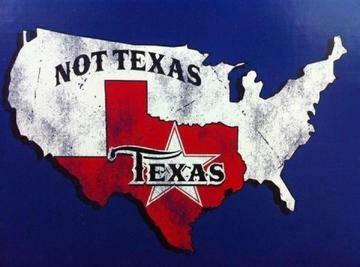 Happy Texas Indepenedence Day everyone! What are you doing tonight? Let me know what you think in the comment section below!